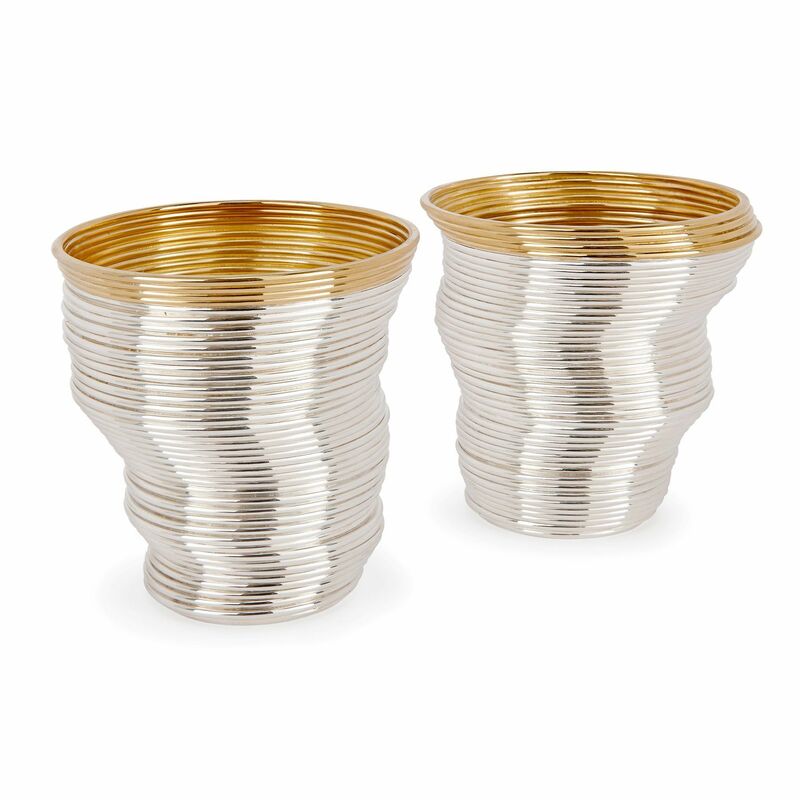 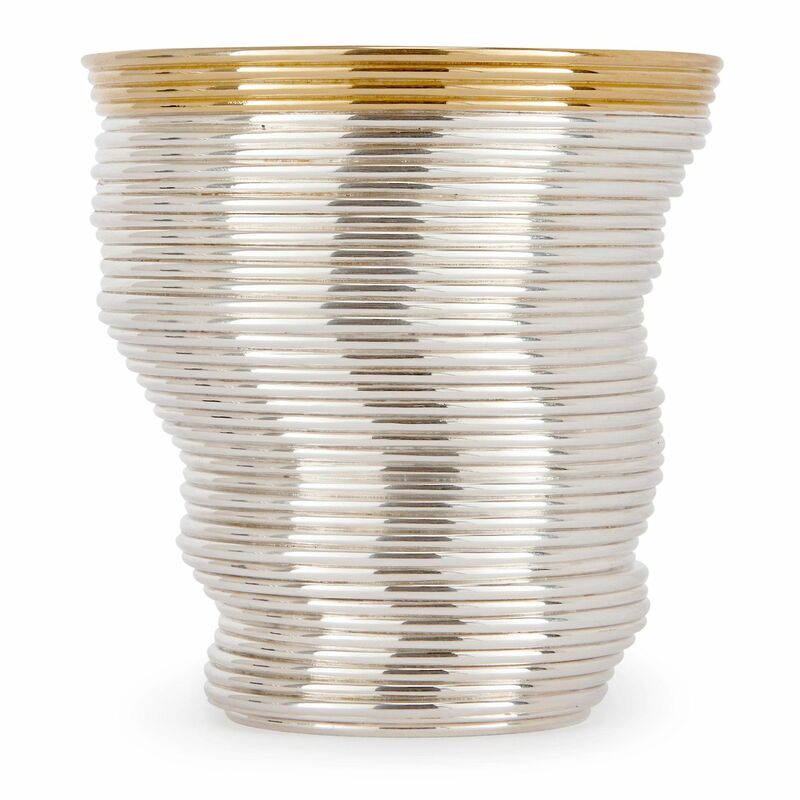 These stunning contemporary silver beakers are the work of London silversmith Nan Nan Liu, who drew inspiration from the famous Slinky toy for the design. The coiled exterior of the beakers come in the form of a Slinky, and are shaped from solid silver and feature a silver gilt rim. 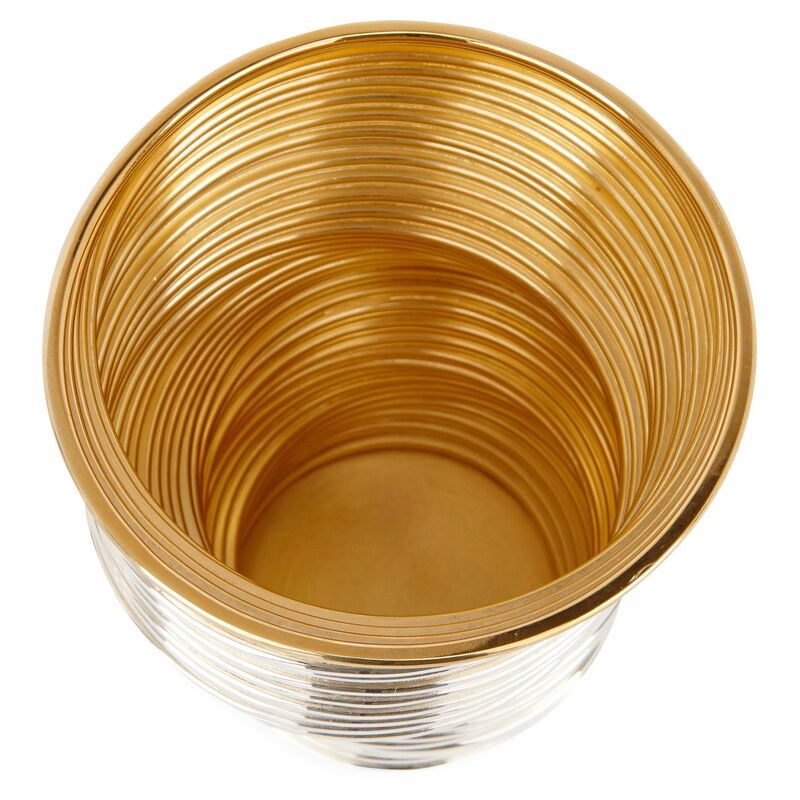 The coiled interior is crafted from silver gilt. 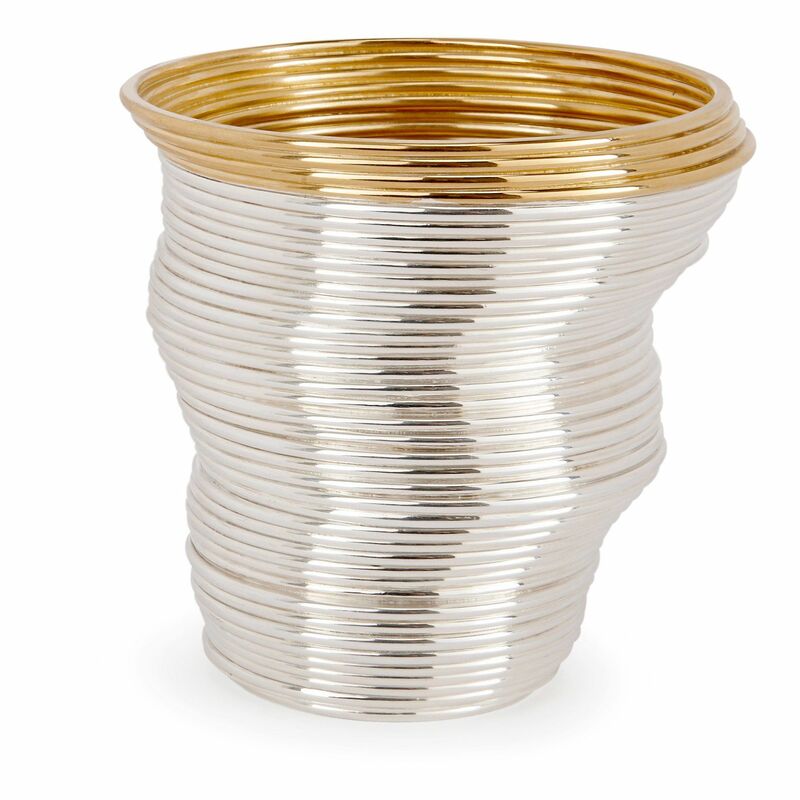 Like a Slinky, the coiled form of the beakers allows them to seem to have stretched and re-formed themselves, thereby appearing to have defied gravity. 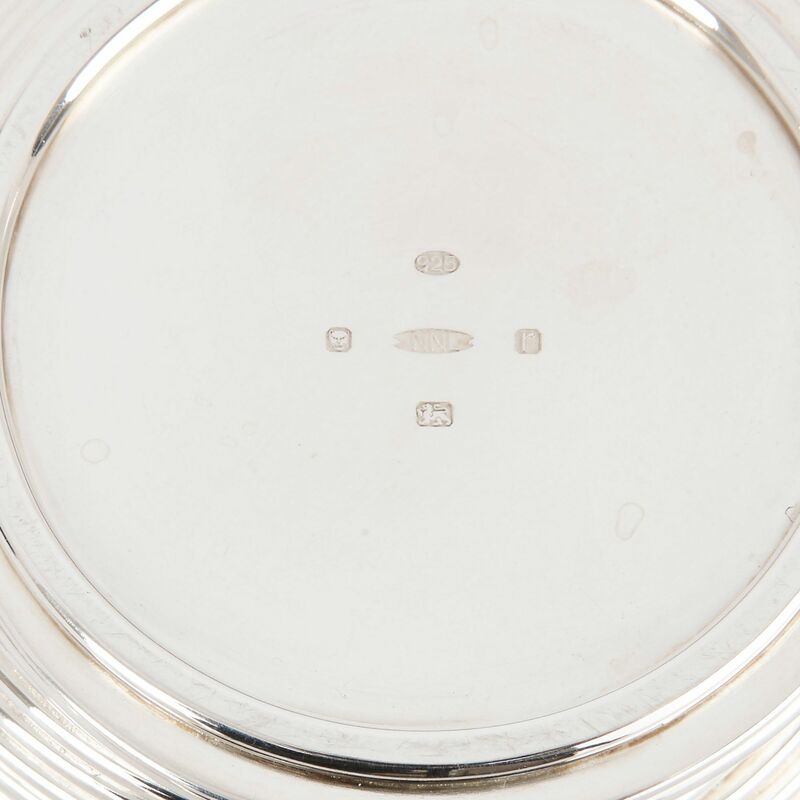 There are silver marks and a maker's mark for Nan Nan Liu on the underside of the base. 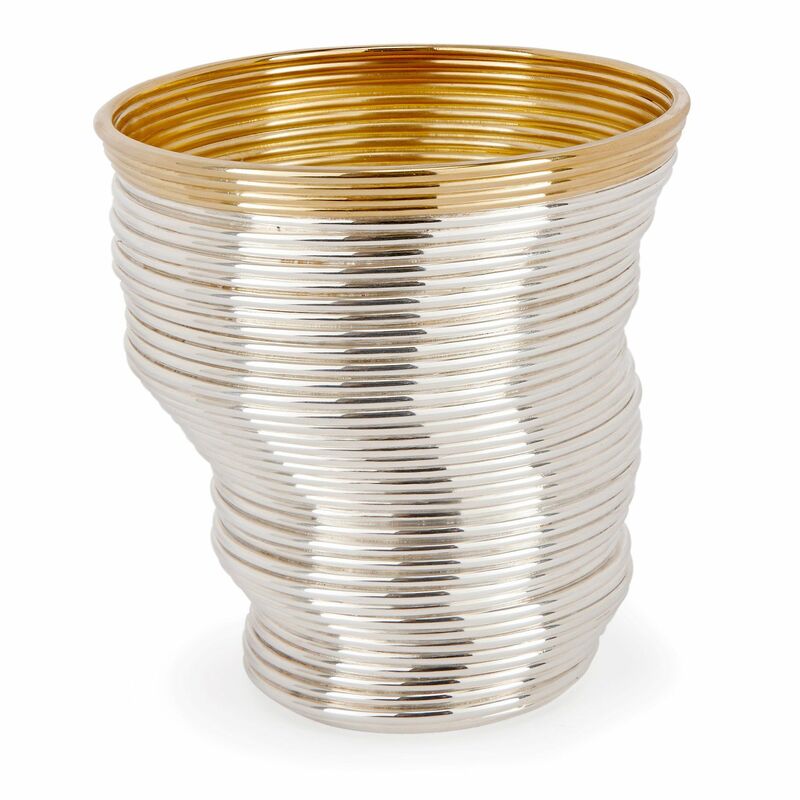 Nan Nan Liu is a London-based silversmith who creates jewellery and objets d'art inspired by natural and organic forms, with a special focus on waves and movement, all captured in the solid material of silver.